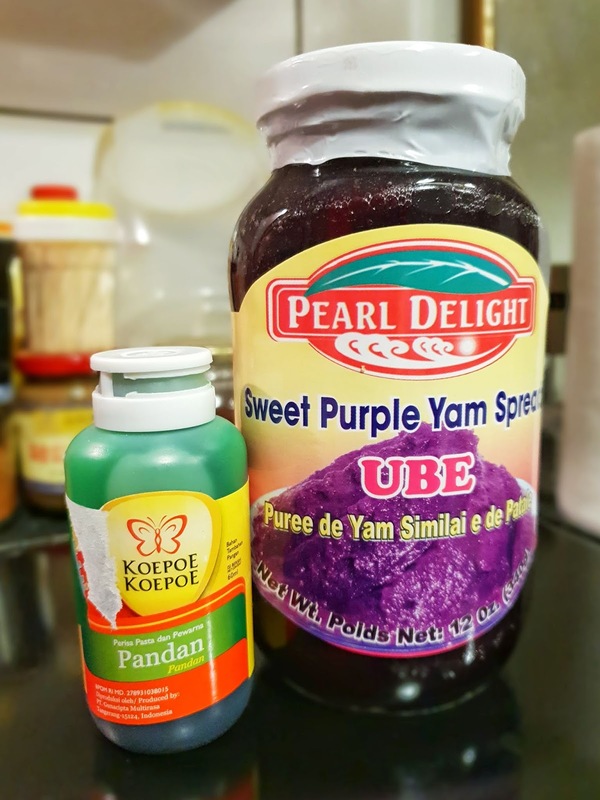 I bought a jar of ube (purple sweet potato) jam intending to eat it with toast... but I soon remembered that I don't actually eat a lot of sliced bread these days. So what better way to get good use out of it than to turn it into cake? 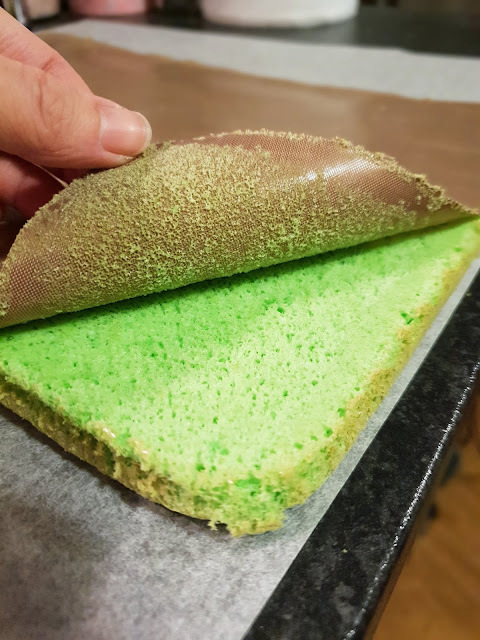 I also used my trusty pandan paste for the sponge cake itself. I have to admit... I rolled the cake the wrong way up. I meant to roll it so the bottom of the sponge ends up facing upwards, because the colour is the clearest, but I accidentally rolled it so the golden brown baked-side-up, which was also marked with the cooling rack, ended up facing outwards. Whoops! Oh well, nothing a little dusting of icing sugar can't fix. 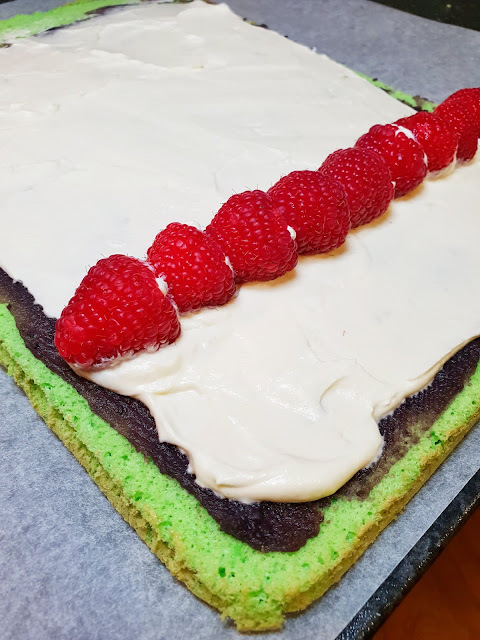 I always like my cakes with a little fresh fruit, so I also embedded a line of raspberries in there – see how I did it in the method below. 1. 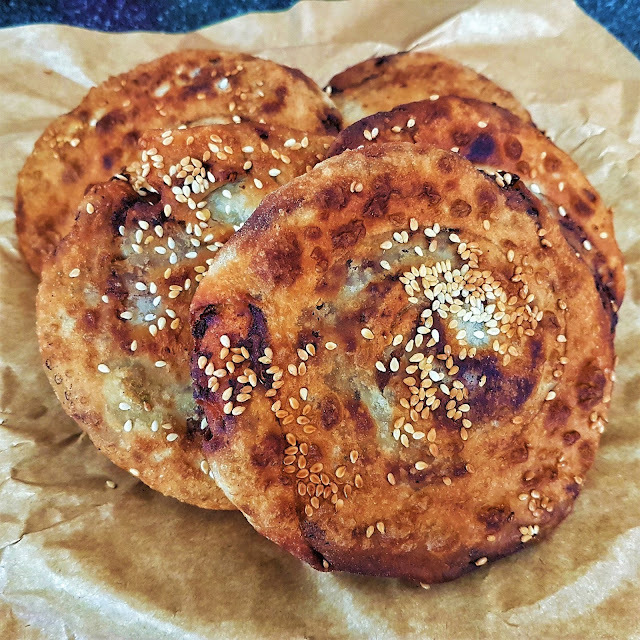 Line a 26 x 36cm baking tray with non-stick greaseproof paper, and very lightly grease it. 2. 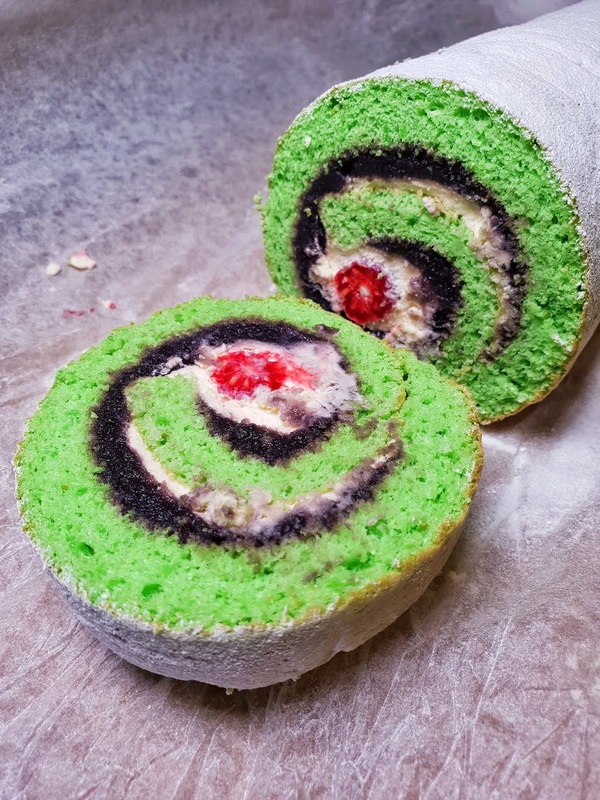 Preheat the oven to 180°C, and make the swiss roll mixture: beat the egg whites with an electric whisk in a large bowl until they form stiff white peaks. Add in half of the sugar and keep beating until glossy. 3. Whisk the egg yolks in a separate bowl with the rest of the sugar until pale and fluffy, then sift and fold in the flours. 4. Take a few tablespoons of the meringue and incorporate into the egg yolk mixture to loosen it up, then very gently fold in the rest of the egg whites with a spatula or metal spoon until combined. 5. Pour into the tin and spread evenly. Drop the tin a few times on the counter to bang large air bubbles out, and bake for 15–18 minutes. Loosen the sides with a knife, then invert the whole thing onto a cooling rack and leave to cool completely. 6. Once the cake is cool, remove it from the tin and gently peel off the baking parchment, revealing the bright green side. 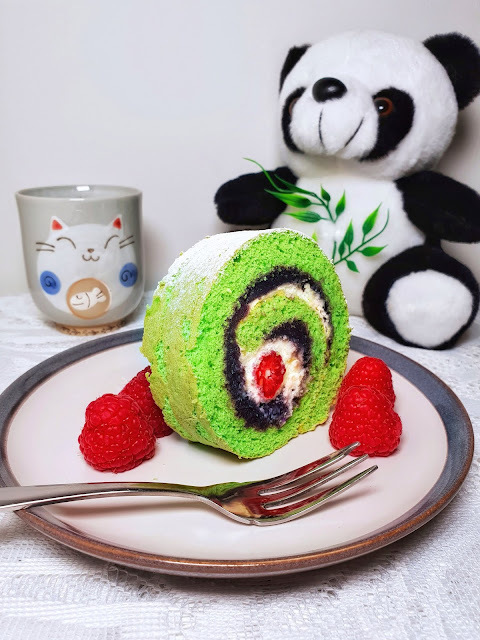 Place the cake bright colour-side down on a fresh sheet of baking parchment, and trim one end at an angle so it's sloping downwards (this will help seal the cake smoothly when you roll it up). 7. Spread the ube jam cream evenly onto the cake leaving a few inches of space at the end, and do the same with the cream (reserving 2 tbsp of cream), spreading a very thin layer onto the angled end to help stick everything together. 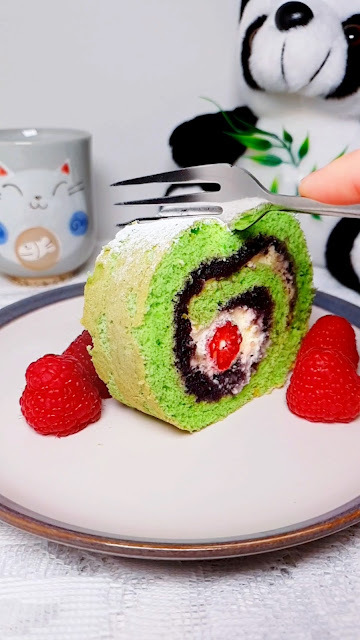 Arrange the raspberries in a row on the end of the cake closest to you, piping a little of the reserved cream into the cavities of the raspberries as you go long, and gently roll the cake up. 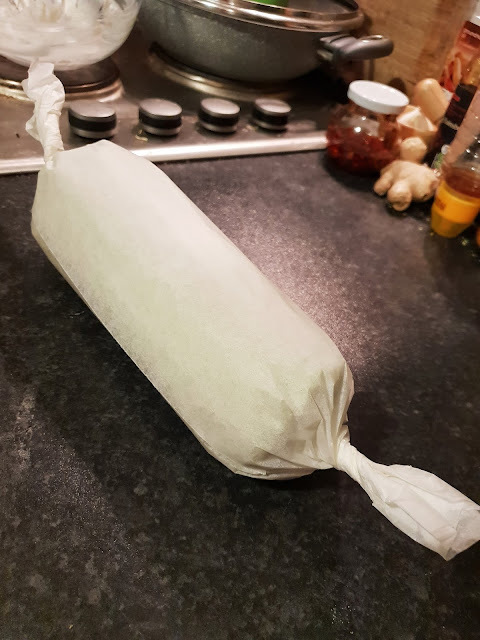 Roll it up in the baking parchment tightly, twisting the ends and sticking a little tape on the edge to keep it together. Pop in the fridge for about four hours or overnight to let the cream set. 8. The next day slice and serve!